Sylvie Mwila-Jonath blazed an unconventional trail to her current position as Head of IT for Torani. Born and raised in the Congo — a place where women have traditionally been expected to marry, stay at home, and raise a family — Sylvie initially dreamed of becoming a doctor. Unfortunately, after a year and a half in medical school, political turmoil forced the closure of all Congolese universities and colleges. But Sylvie didn’t let that stand in the way of pursuing her education. So, she picked up and moved to South Africa in spite of the challenges she knew she’d face as a young black female during apartheid — add to that the fact she had to learn a new language and would soon discover that the country’s medical schools were reserved for South African citizens only. So she changed course to pursue a business school education, graduating four years later with a degree in Production and Operations Management. This background, along with her tenacity to overcome complex challenges, led her to a career in IT and helped her land her current role at Torani in 2003. It goes without saying: Sylvie’s story is fascinating. That’s why we had a chat with her to learn more about her unique career path and how it enabled her to help Torani embrace CRM. Q: Your backstory is remarkable. How did it prepare you for a career in technology? A: I grew up in a very modest family where nothing was taken for granted. When I was young, my family moved around a lot. We were faced with a new set of challenges in every town we settled in. That’s why I’m not afraid to make changes or face challenges. I was driven by the goal of getting an education. I started in medical school but ended up with a business degree. I had the good fortune of doing an internship right after college in a large manufacturing company where I spent 16 months performing every function in every department. That experience gave me a 360-degree view of how different business units connect with one another. As I progressed through my career — working in operations for various companies over the years — I realized I had a passion for solving problems and trying new things. Using technology to address and solve business problems was an area where I felt very comfortable. In fact, I thrived. That’s really what encouraged me to switch from business operations to IT. Q: You’ve ushered in some big changes at Torani. What motivated you to do that? A: In spite of the company’s solid growth, we were operating in a completely decentralized model where team members worked in silos and had no visibility into what others were doing. This led to a very manual and time-consuming pipeline and lead management process. Customer data and interactions were either stored on drives or in individual email threads with no reporting capabilities whatsoever. And this was all becoming more and more difficult to manage as the company continued to grow. 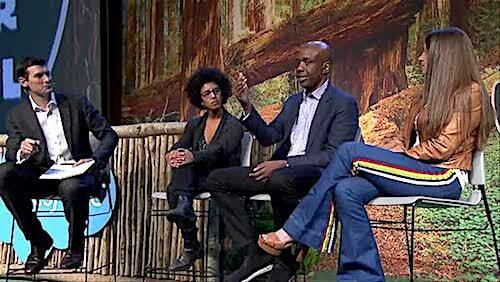 The move to implement Salesforce came at a time when our sales leaders were having a hard time understanding the health of the business and what was going on with our customers. 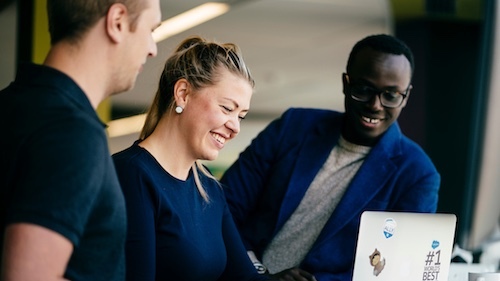 It was clear that we needed to connect everyone in the company to a single platform that would enhance collaboration. That’s why we went with Salesforce — and the last few years have proven it was the right decision. We were growing before, but at the scale we’re growing today it would have been impossible to manage our growth and be this organized without Salesforce. Q: How did you prepare the organization for change? A: We already had strong support from our sales leaders, plus a well-thought-out technology platform in Sales Cloud to support our customer relationships. It didn’t take much convincing to get our executive team on board. It moved fast! You still have to be able to answer one big question for everyone in your organization affected by these kinds of changes: “What’s in it for me?” The gains have to outweigh what people are giving up. They have to see the business value of this massive transformation. Q: How do you prioritize IT investments for Torani? A: This is a very relevant question for growing companies with limited resources and budget. Our key technology initiatives are driven by strategic objectives and process evaluation. Priorities are placed on projects that will help us grow or increase efficiency across core processes. Our overall company goals really drive the prioritization of IT investments. Identifying which high-value technology projects to focus both our financial resources and people’s time is really the most challenging and exciting part of my job. Q: Any advice for other growth-oriented companies managing their own digital transformation strategies? A: First, business leadership must align with and work alongside IT. A lack of shared vision will likely lead to failure. Second, don’t do it alone. Be sure you have great implementation partners. When it comes to digital transformation, you often don’t know what you don’t know going into it. And given that IT resources are typically limited in small and mid-size companies, trying to fix a poor implementation later ends up taking more time, resources, and money than if you had just done it right from the start. Third, aim for platforms that can be easily integrated or enable seamless systems integration. You definitely want tools that promote collaboration, transparency and an excellent user experience. And most importantly, be daring! Sure, the unknown is uncomfortable, but don’t be afraid to try new things. Be patient and give yourself the room to fail, learn from your mistakes — and try again. 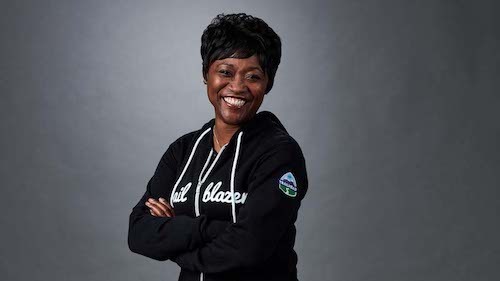 To hear more from Sylvie and other small business Trailblazers, join us at the Small Business Keynote at Dreamforce on Thursday, September 27 at 5:00 p.m. PST, in Moscone West, third floor (Pro-tip: pre-register on Agenda Builder to save your seat!) It’s FREE to attend with the free Expo+ pass (register for a free pass here). We're also giving out free Torani drinks at Dreamforce at our Small Business Essentials Station in the Museum of African Diaspora! Come by to network and relax during one of your Dreamforce breaks.